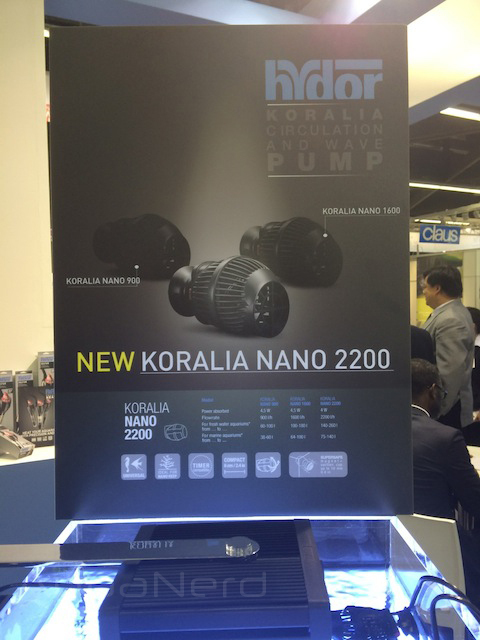 Hydor is expanding their popular line of Koralia Nano pumps, adding a larger member to the small group to meet all of the flow demands of those smaller aquariums. Blasting the water at 2200 l/h (578 gph), this new pump consumes just 4watts of power and is based on the same chassis as other pumps in the group. 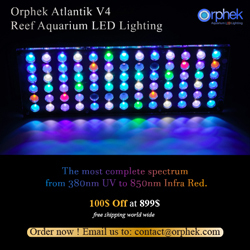 Besides the upped flow rates, there is really nothing different about this new model. And with the success of the other Nano pumps, we could certainly see why things remained so similar. The Koralia Nano 2200 sports the same great features of the other models, including a magnet suction cup mount, which is suitable for aquariums with glass thicknesses of 10mm or less, the ability to pivot on a ball joint in any which direction, and being compatible with pulsing timer style wavemakers. We didn’t catch prices or release dates, but we don’t expect the pumps to break the bank by any means and it looks as if they are ready for prime time, if they aren’t already being shipped to retailers worldwide. Special thanks to Shawn Wilson for sending us these images from Interzoo.